For the last few years I have assiduously avoided designing new classes. I'm sure it's the control freak in me. Teaching the same class over and over makes it super easy to pace the class, tweak the pattern, and generally all around offer a well organized class. I've recently realized that a static class offering may be preventing some of the requests for return visits from going through. 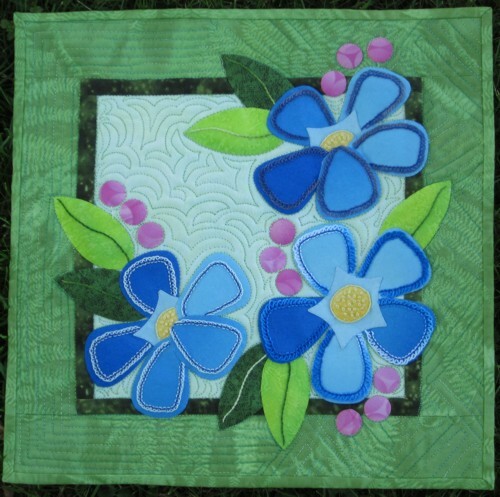 Plus, the wash away sheets have opened so many fun doors for applique that I just can't stop myself from experimenting. 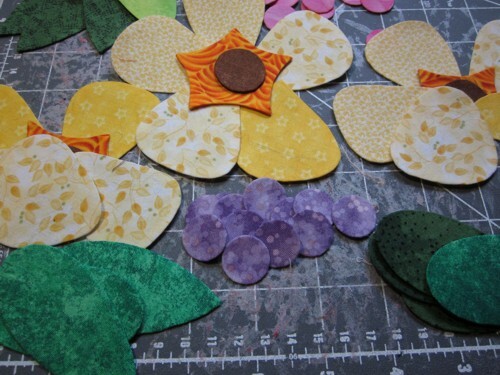 This week I've been working on the samples for a new bobbin work/hand embroidery embellishment class. After designing a project that is small enough to allow us to get lots done in class, but includes enough features to cover the topic, it was time to get to work. We're finally having summer here, so I pressed the applique templates to the fabric, grabbed my iced tea and headed out to the screen porch for a little quality time with my scissors and The Winds of War on my iPod. 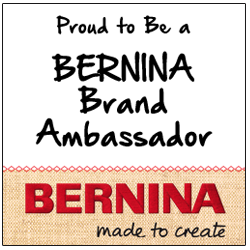 Here's where I tell you something you already know. Pouring your iced tea on your ready-to-baste applique is counterproductive. Sometimes my capacity for denial is legend. Me: Quick, let's dry it with the iron, it will be okay. Shoulder Devil: It will set the stain. Me: I'll let it air dry and then wash the project once it's done. Shoulder Devil: Yeah, right. Like you'll ever actually wash the project. Me: Not all tea stains, it'll be okay, really! Shoulder Devil: That would be why those primitive folks use tea to distress their fabrics. Me: Crap. I'm going to go knit. Shoulder Devil: That's what I've been telling you all along. Of course it stained. So, after some medicinal knitting﻿ and a good night's sleep, I dove back in and started over. In no time at all the parts were all glue basted for the hand embroidery sample. And then the parts were ready for the bobbin worked sample. It really doesn't take much time at all once you stop fussing about it. In fact, I find the glue basting to be most relaxing. 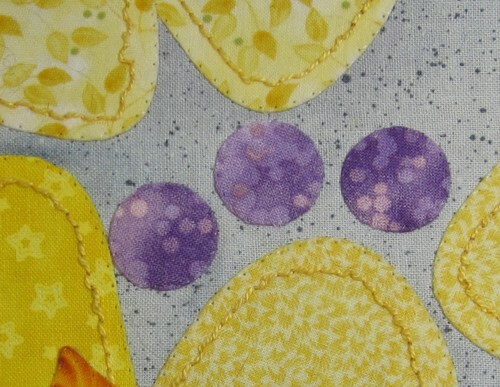 Here's a close up of the bobbin worked petals. I've used pearl cotton in the bobbin, a yellow thread in the needle. With the feed dogs up, I've lengthened the stitch just a smidge and embellished each petal before the flowers were glued and then stitched together. 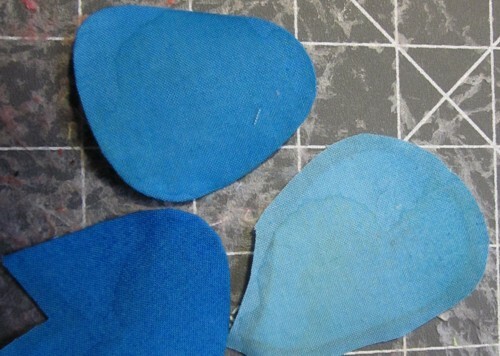 Here are the blue flowers, minus the tea stains and plus hand embroidery. 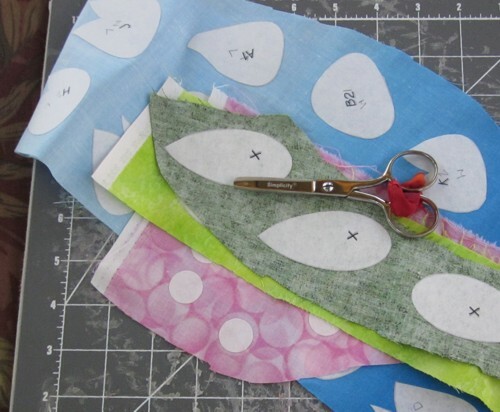 The little quilts finish at just fourteen inches, just the right size for a workshop project. And here's the bobbin worked sample. I'll be adding this workshop to my website soon. A month or so ago our guild brought a member of the Chicago School of Fusing to speak and teach, Frieda Anderson. 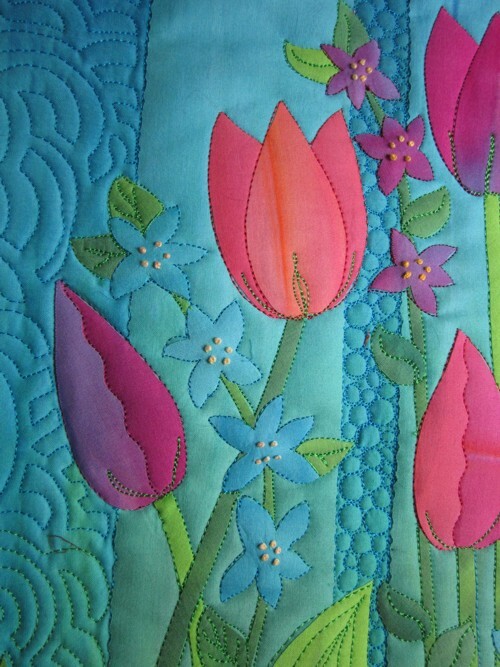 A lovely lady, she makes happy quilts from her own hand dyed fabric. Beautiful, bright clear colors, my favorite kind. I signed up for her class. For years now, I've thought of fusing as the "F" word. (What were you thinking, hmm?) I cast my lot with the turned edge crowd and never looked back. But, I have to admit, I take classes to observe the teacher as much to learn a technique. I am always looking to improve my teaching skills. By watching other teachers teach, I can learn new strategies, and, sometimes, learn what not to do. For the class, our guild chose Frieda's Trumpeting Spring project. 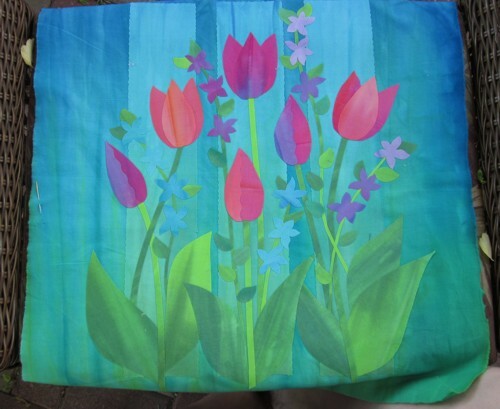 Just about half the class chose the daffodils, I went for the tulips. Being constitutionally incapable of following instructions, it didn't take long for me to veer off path. 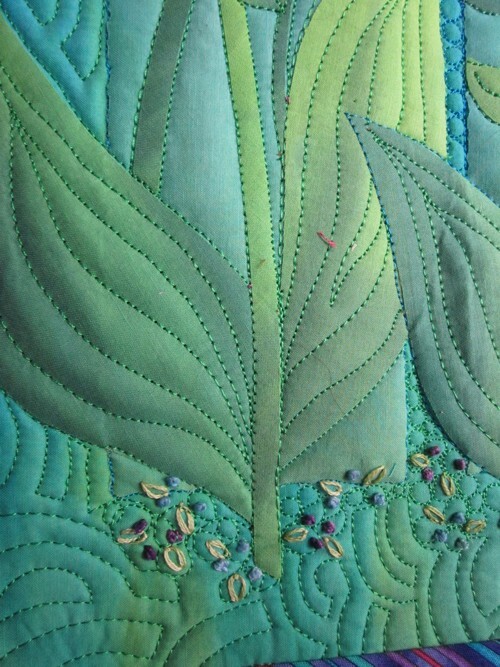 I've been experiments with subtle background accents behind my applique, so I tried it here as well. At this stage it's all fused and I'm about to start the hand embroidery. I didn't do nearly as much as I'd planned because pulling a needle through all those layers of fabric and Wonder Under was anything but fun. What I did fall in love with was the Madeira 30 weight rayon thread. Oh my! It was lovely! It looked thicker than 30 weight, but sewed out easily with a size 90/14 needle. The twist gives the thread incredible stitch definition. Frieda only had a few colors, but I bought my usual rainbow. Isn't it gorgeous? I'll be looking to increase my stash of these fantastic threads. The fusing part was fun. It was very easy to be spontaneous. 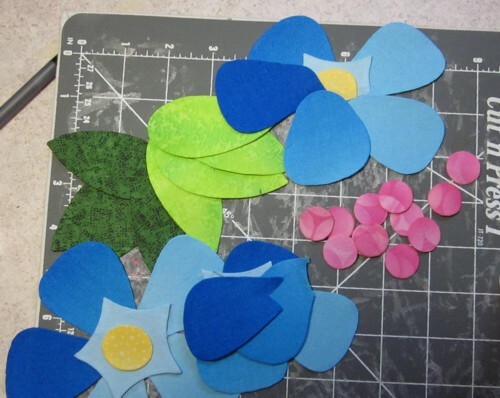 The delphiniums and their tiny leaves were free cut from small squares of fused fabric. Frieda's hand dyed fabrics had wonderful gradations. It was fun to "shop" around each piece of fabric for just the right color and shade. Here it is, a lousy picture of it all finished. Well, almost finished, with just the binding to turn. Have I been converted? No way. 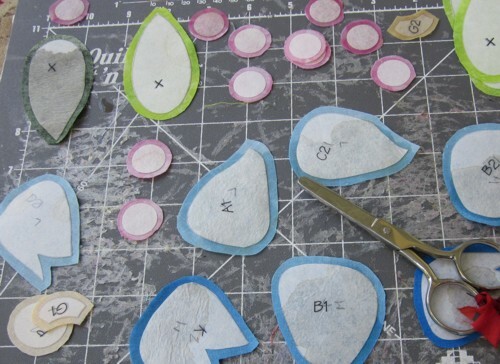 As I was working on it, I was so tempted to break out the Wash Away Applique Sheets and do some free cutting and glue basting with the shapes. But I was a good girl and played by Frieda's rules. (Mostly, anyway.) It will hang in one of the boys' rooms turned guest room. You know, the class cost me about fifty bucks, including the kit fee. Guild classes are such a great value. I enjoy sampling techniques that are new to me. You never know when you'll find your new favorite thing. Or, perhaps you'll learn you'll never want to try that again. Both lessons are valid. Well, well. Look who's here. Despite rumors to the contrary, this blog and I are not dead. Merely resting, with eyes closed. I finished up my spring schedule for travel teaching last Sunday, my last out of town booking until September. Wa hoo! 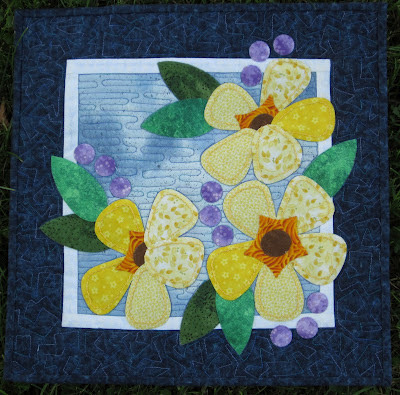 I taught for the North Carolina Quilt Symposium, a statewide group that rotates locales around to be accessable to more members. The students were wonderful, the organizers were delightful. An excellent way to finish for the spring. It's been five days now, and I think I've finally relaxed into my real life. I can't tell you how wonderful it is to know that I'll be sleeping in my own bed until the fall. I'll have this great, uninterupted expanse of time to explore new techniques (for the next, next book), and make a quilt for the next issue of Quilter's Newsletters special issue of fat quarter quilts (which will be out in December). I'm glad to have cleaned up the studio before leaving for the Symposium. The fabric ended up going to a local charity which makes quilts for the homeless. My daughter-in-law's mother is in charge (which I didn't know when I first posted). I was happy to have the fabric going to a good home, especially serving local needy. Saginaw needs all the help it can get. 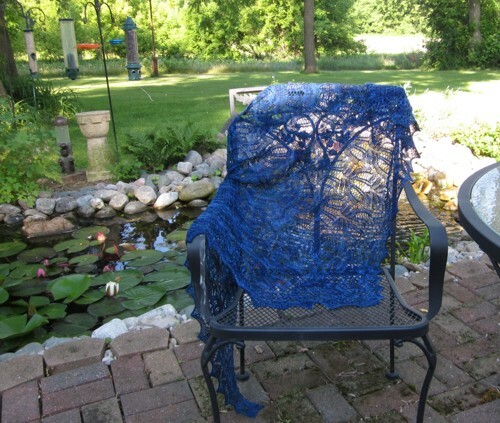 Along with tending my garden, I'm also looking forward to some knitting time. Knitting is what I do so I know I'm not working. 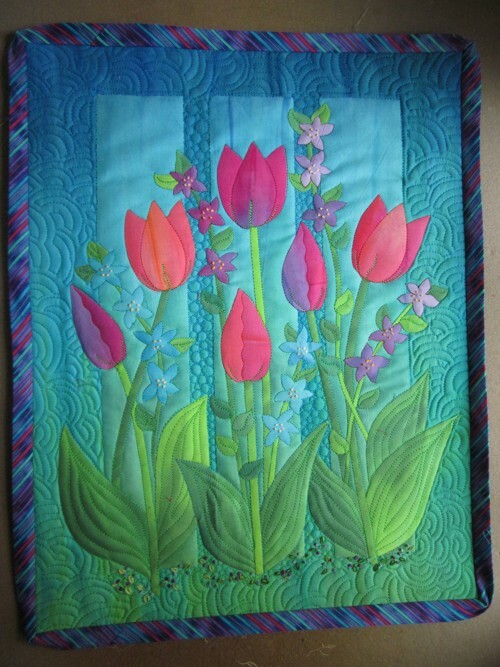 When quilting became my job, I discovered that I needed to find a new hobby. I'm taking part in a summer challenge called Camp Loopy. Hosted by The Loopy Ewe, we'll have three projects to complete, one each of the summer months. Our first challenge was to knit a pattern by someone from a country different from our own. This is Jaali, by Kitman Figueroa. It would have been easy, except that I kept miscounting my cast ons. 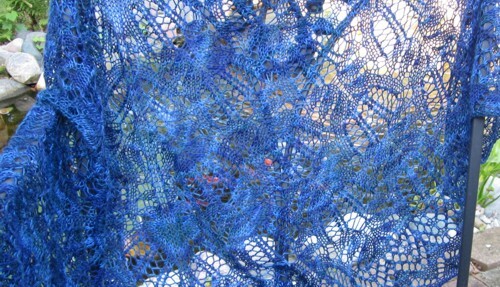 I love knitting lace, and I particularly love knitting Kitman's patterns. They are very architectural. And the way we start at the bottom, casting on approximately two jillion stitches and then decreasing our way to the neck edge, makes the project move along quickly. Even with the false starts, it took just about two weeks to finish. Knitting on travel days makes the airport hassle and waiting go by quickly. Our next project is to knit something that takes more than 800 yards of yarn. I'm going for Girasole. I do so love a challenge.